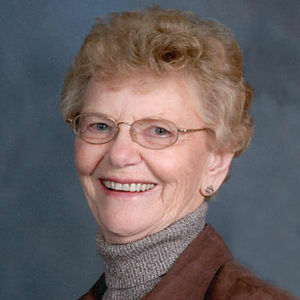 Kathleen Mary (Schmidt) Kressin, 76, of Richville, MN died Saturday, March 16th at PioneerCare in Fergus Falls, MN. The Mass of Christian Burial will be on Wednesday, March 20, at 11:00 AM at St. James Catholic Church, Maine, MN with Father LeRoy Schik as Celebrant. Visitation will be on Tuesday from 5 PM to 7 PM with a prayer vigil at 7 PM at St. James Catholic Church, Maine. There will also be visitation one hour prior to the service at the church. Interment will be at St. James Catholic Cemetery. Arrangements are entrusted to Vertin-Munson Funeral Home, Wahpeton, ND. Kathleen, more fondly known as Kathy, was born in Fergus Falls, MN on April 9th, 1936 to Gustave and Myrtle (McManus) Schmidt. She graduated from Fergus Falls High School and went on to attend St. Francis School of Nursing in Breckenridge, MN, where she earned her registered nurse degree. She worked as a nurse at St. Francis Hospital, where she met David Kressin, whom she eventually married. Kathy and David were married at Our Lady of Victory Catholic Church in Fergus Falls on January 18th, 1958. The two made their home in Breckenridge, MN, where David farmed. Together, they had five wonderful children. Kathy was known for being the master of bargain shopping, a queen in the kitchen, and she loved playing cards and spending time with friends and family. She enjoyed sharing stories and could bring a smile to anyone's face. Her grandchildren and great-grandchildren were her pride and joy. Kathy is survived by David, her beloved husband of 55 years; her children, Joe, Austin, TX, Peggy (Kevin) Pratt, Wahpeton, ND, Tim (Carol) Breckenridge, MN, Rick (Cindy) Breckenridge, Becky (Kirk) Cossette Fargo, ND; fourteen grandchildren; five great-grandchildren; brother, Bud (Rachel) Schmidt, Orondo, WA; sister-in-law, Roni (Myron) Goughnour, Fargo, ND; sister-in-law, Margie Kressin, Ashby, MN. She was preceded in death by her parents, brother-in-law, and a sister in infancy. Visit our online guestbook at www.vertinmunson.com. The beautiful and interactive Eternal Tribute tells Kathy's life story the way it deserves to be told in words, pictures and video. My condolence to the Kressin family on Kathy's passing. I remember Kathy as a FF classmate of 1954. She had a smile for everyone, very popular, and very bright. I'm sure she made a wonderful nurse, wife and mother. It was sad news to hear of Kathy's death. Our heartfelt sympathy goes to her wonderful family. Joel, my heart aches for you and your family. I'm sorry for your loss. May happy memories carry you all through this sorrowful time.